Georgia studied Anthropology & Law at the London School of Economics, graduating in 2016. 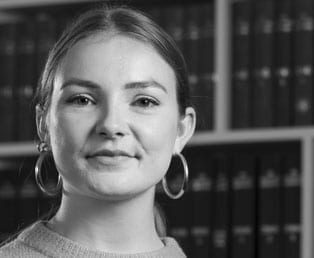 She completed the Legal Practice Course in 2018 at the University of Law, passing with distinction. Prior to joining Wilsons, Georgia worked in a high street law firm in the Housing and Community Care departments. She specialised in working with vulnerable asylum seekers and refugees, challenging unfair decisions made by Judicial Review to secure appropriate accommodation and support from Local Authorities. Georgia was a volunteer visitor for Detention Action, providing practical advice to those in detention. She also volunteered with the Refugee Council as part of their Refugee Advice Project. She worked with individuals who had recently been granted refugee status and supported them in obtaining housing and other essential services. Georgia joined the immigration department at Wilsons in 2018. She provides advice and assistance in a range of asylum and immigration matters.